Weekly Menu Plan 91 is all sorts of delicious with seasonal salad, vegetarian options, soup, and loads of comfort food going on. Something about mid-January brings on the cravings for all things warm and comforting. 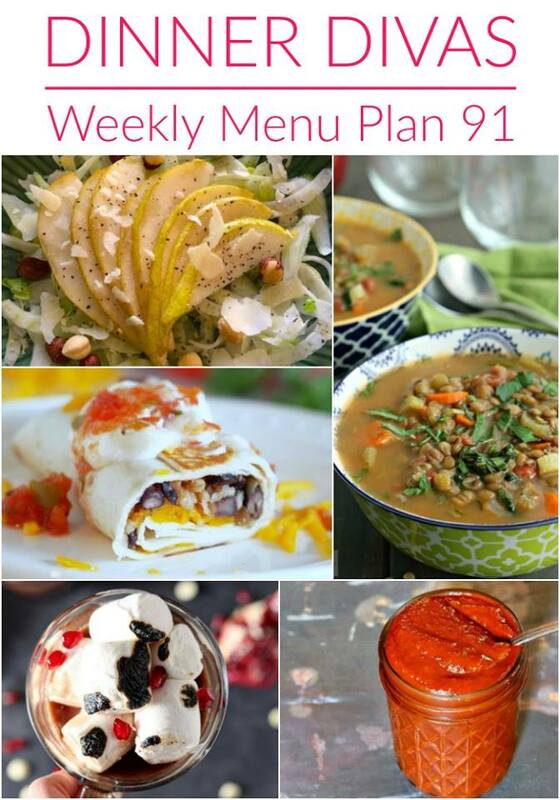 Weekly Menu Plan 91 doesn’t disappoint on the warm and comforting front. We’ve got a little something to please every palate. On Monday, Sara/My Imperfect Kitchen brings a simple Winter Pear Hazelnut Salad to the table. 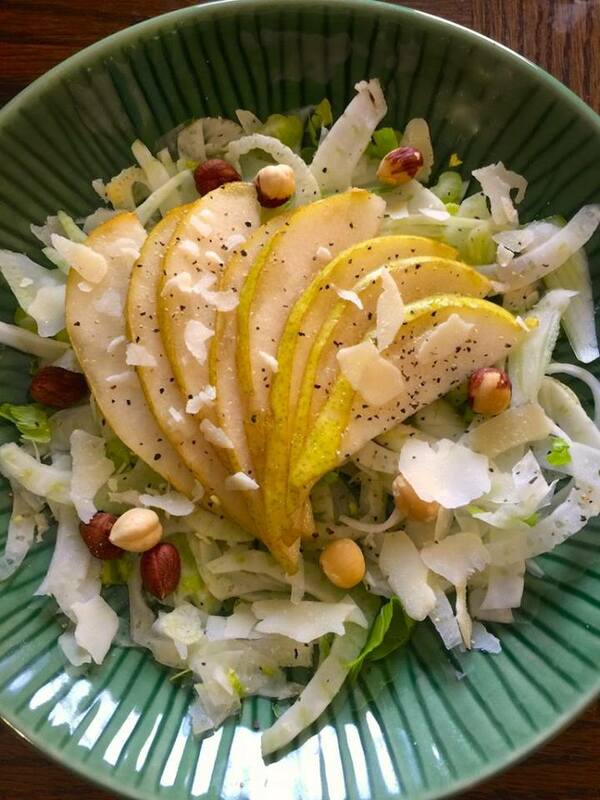 Adorned with ripe pear slices, toasty hazelnuts, salty parmesan, and a light dressing, this salad is a delightfully healthy dinner. For a heartier meal, top it with grilled chicken or steak. 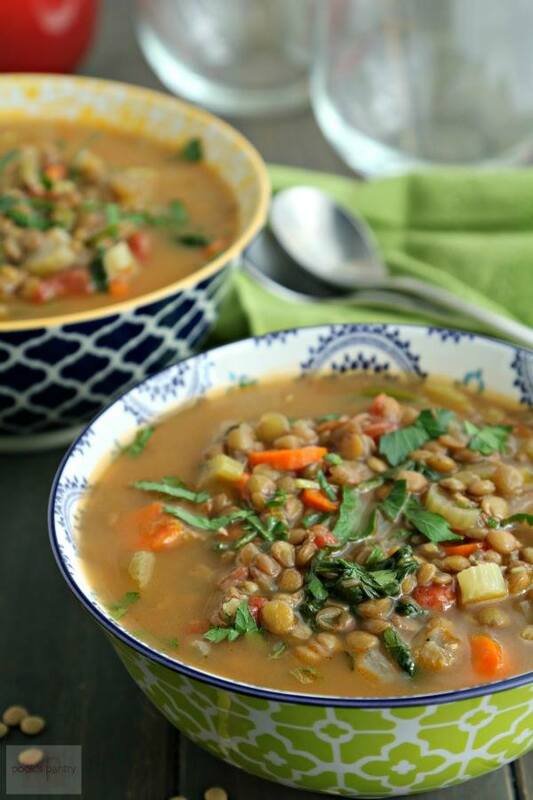 Tuesday brings the warmth of Cheryl/Pook’s Pantry’s Easy Lentil Soup. Son #1 is a huge fan of lentil soup, and he fully endorses this recipe. A little light chopping, toss it all in a pot, and away you go! 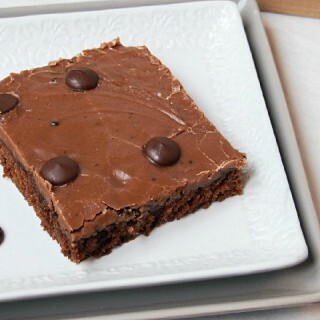 Simple comfort food at it’s finest! Son #1 also recommends serving The Best Grilled Cheese on the side. He’s a smart kid. I serve one of my favorite vegetarian dinners on Wednesday–Crispy Black Bean Burritos. 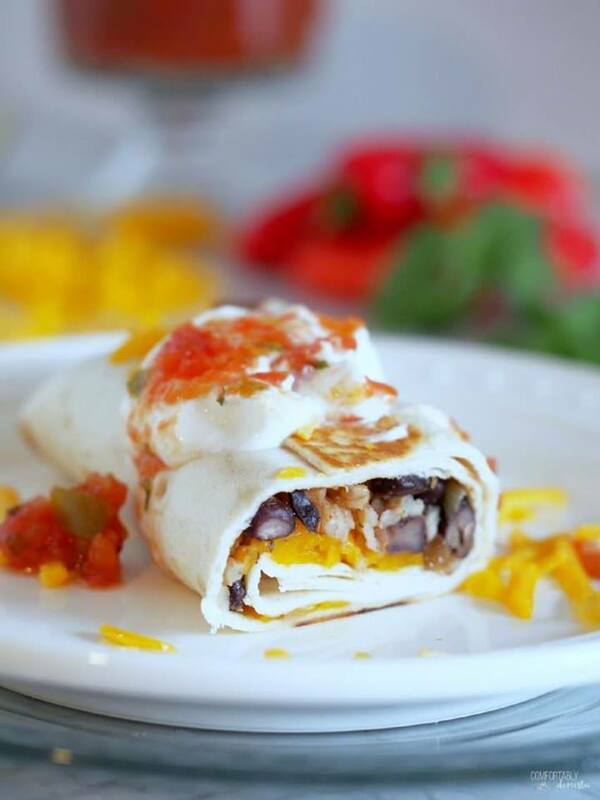 Perfectly seasoned black beans, brown rice to complete the protein, and plenty of cheese rolled up in a fresh flour tortilla. I suggest pan searing the burritos to crisp the outside and melt all of that gooey cheese inside. The texture is just perfect. 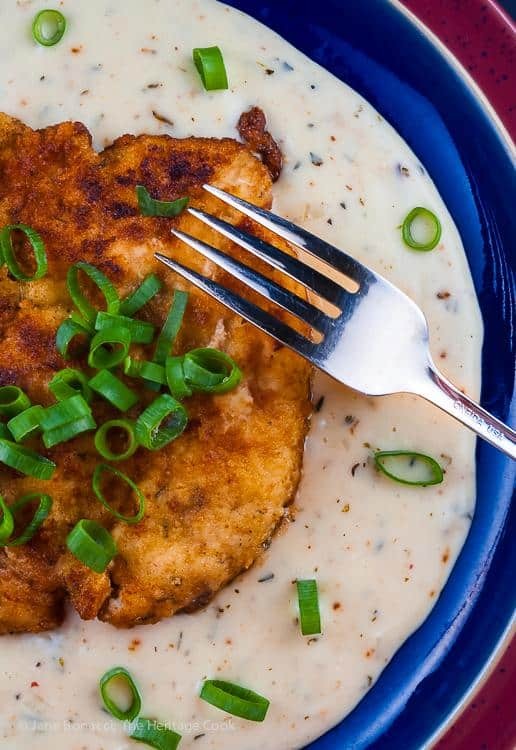 Jenni/Pastry Chef Online brings her ever-comforting Fried Chicken Cutlets in Herb Gravy to the table on Thursday. If there’s something tastier than friend chicken and gravy, then I want to meet it! I also want to sop up this gravy with a fat slice of soft honey white bread. 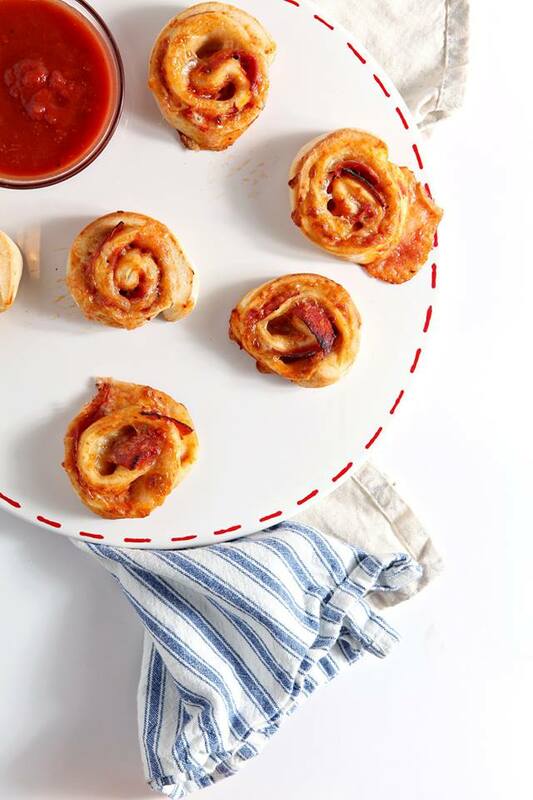 My boys are very excited about Friday’s Pepperoni Pizza Rolls from Erin/The Speckled Palate. She takes all the goodness of pepperoni pizza and serves it bite-size pinwheel form. How fun is that?! Erin elevates the weekend situation with her Pomegranate White Hot Chocolate as an Extra this week. You heard me. 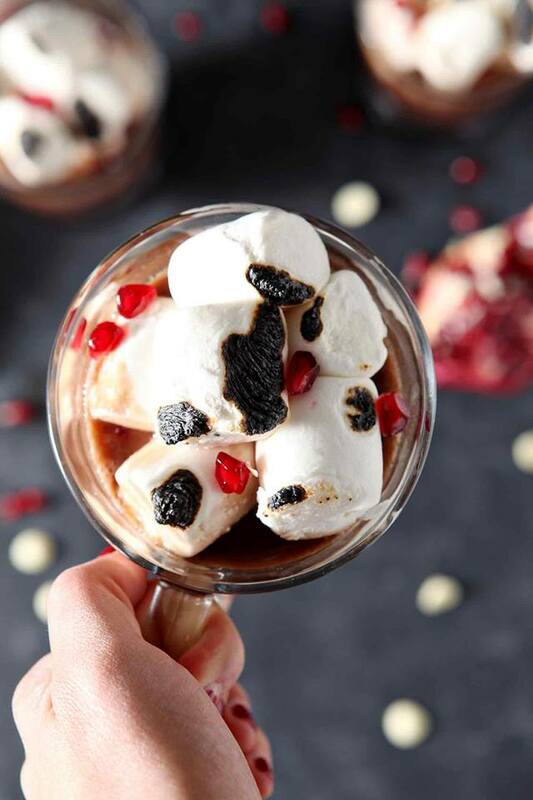 Pomegranate White Hot Chocolate! Three simple ingredients make this sipper tart, creamy, and utterly decadent. As long as you’re indulging, maybe try dunking a shortbread cookie or two into the mug while you’re at it. 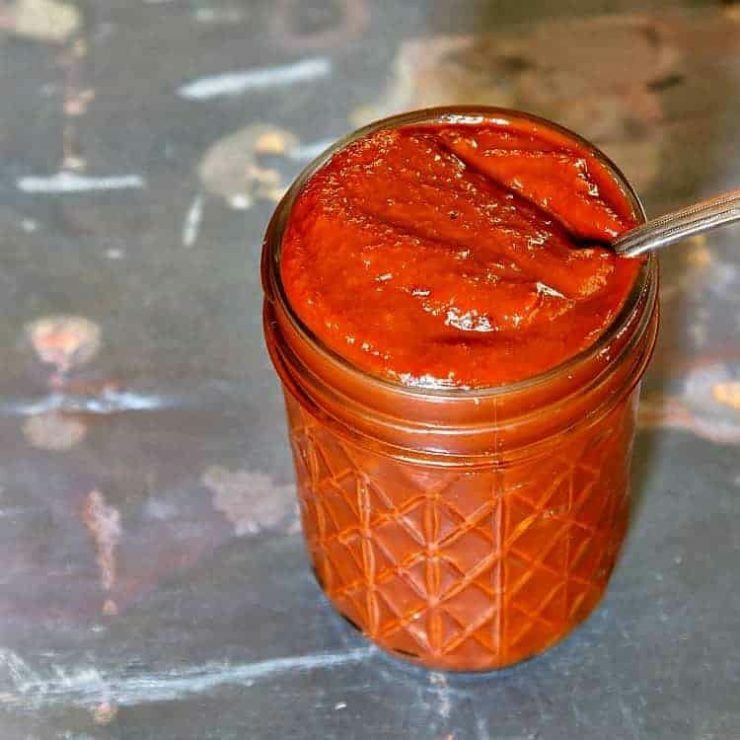 Jenni’s little Extra this week is her Spicy (Whole 30 compliant) ketchup that she insists goes with just about everything. It gives and especially nice kick to Baked Potato Wedges. 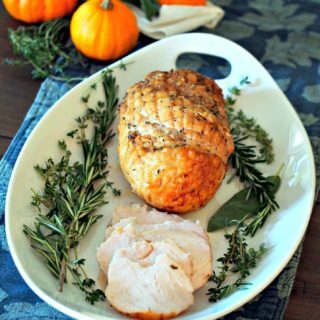 What’s your favorite Weekly Menu Plan 91 recipe? What other recipes can we bring to your table?